Do you know anybody who would like to see their blog traffic pick up? Everyone, right? But how? Where to start? There are so many people on the internet shouting out every super trick in the book it’s enough to boggle anyone! The truth is there are many ways to get your site noticed and I am sure many more to come. Below I’ll share two strategies to jump start your blog; BackLinks first and then Tribe Syndication. Perhaps you have been looking or perhaps you are feeling overwhelmed whether it be the newness or complexity and utter time that seems to be involved with learning and simply getting started. Have you been working to promote your site on your own and feel like you aren’t getting noticed or very far? Or have you ever started thinking you might be wasting your money and your time? This one could take a bit of time investment but ultimately prove to be highly valuable. The first strategy to get the good links coming in is by using several directories. More importantly get into the ones edited by real live people. The reason is you want the greatest visibility to your sites URL and these types of directories rank well. It is important to get yourself out there among others in your niche. The more directories the more click opportunity to find your site. You can search for these simply by Googling “directories edited by real people or humans.” This action alone will often give your site credibility. The search engines will very much like this one, too… Leave a thoughtful comment on blogs that are of a real interest to you or relate to your own niche to create a noticeable presence on them. If you concentrate on leaving attractive comments you might find you’ve developed quite the following off of many other blogs as they begin to notice and follow you! What a bonus! This second strategy could prove to be the most powerful, organically viral and the most fun! This magical move utilizes social media marketing in a dynamic way using a Tribe Syndication Network. A number of diversified Internet Marketers have come together to form a community for developed and developing blogs. Building or becoming part of a social media marketing tribe is an amazing way for you to experience the magic of people helping people grow. An evolution styled system within the tribe has been developed for forming blogging syndication alliances as well as an excellent learning environment for establishing your own more focused niche tribes outside of the foundation community. As the saying goes, this one is a win-win. The concept and the real magic began with a group of leaders giving and sharing tried and proven new strategies which began to attract attention like crazy on several social media platforms. They have presented a tribe community large enough to explode your business and small enough to allow the opportunity for everyone to know each other; The Tribe Mastermind Community. So, a community sharing the same purpose of actually and genuinely helping each other grow one another’s online presence may be just the thing you need. I would like to know what your thoughts are, please take a moment to comment. And as always if you find something to share while looking around, share away! Great information on back links and tribe syndication. Thanks for sharing with the community here. .-= Krista Abbott´s last blog ..Recognizing Your Defining Moments =-. You are very welcome Krista. Look forward to visiting your blog. “Recognizing Your Defining Moments” sound interesting! Good point about the back links Robin. It’s amazing how a small and focused group of people working with purpose and Social Media can accomplish. Tribes are really the next frontier. 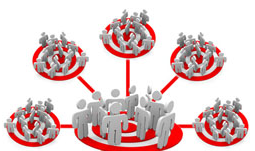 .-= Phil Jackson´s last blog ..How We Started A Syndicated Marketing Tribe =-. Social Media Tribes are the Buzz for sure Phil! It is amazing to see how far you have come. Back links are definitely one of those things that I am not quite sure how they work, but somehow I have some. Thanks for sharing the information about searching for human edited directories. I will definitely make sure to look into that. I completely agree with you about the magic of Tribe Syndication. There is no way I would have made as much progress as I have already without becoming part of the Tribe Community! .-= Melissa Wright´s last blog ..In Order to Lead You First Have to Follow =-. I appreciate your words Melissa. You have a wonderful way with them, love visiting your blog I always take away something great! There is so much out there and you really have focused on the things that work in social media. Thanks for the reminder on backlinks and also on Tribe Syndication…which is taking the industry by storm! .-= Jennifer Hart´s last blog ..Tribe Mastery & Syndication =-. Agree on the tribes mention! I see you have an article of interest on it. I’ll be sure to check it out! great explanation of Back links, which are so important. and the magic of being with a tribe. and we are defiantly going to be a part of it. .-= jean´s last blog ..‘The Tribal Syndication Power Hour’ =-. My pleasure Jean thanks so much for stopping by! Submitting your site to Directories are definitely a great way for the search engines to start “taking you seriously” and like you. Again quality matters more than quantity. Writing articles and posting them to quality article sites is also very helpful if you do it consistently. .-= Joanna Vaiou´s last blog ..How To Understand and Eliminate Fear =-. Thank you for sharing this Joanna! Your experience and insights always add much value. I’ll do that more often!!! (LOTS OF KISSES FROM GREECE)!!! I’m a new webmaster and I’ve been searching for a way to get backlinks. It’s been pretty frustrating because I don’t know where to go. This solved a lot of those difficulties I had! Thank you. Yuk Legassie, You are most welcome. It’s great to reach out and make real connections to others in your niche, you’ll be surprised how many have genuine advise Cheers to your business! You are a natural at blogging, my dear. I’m really impressed with the way you’ve jumped right in and gotten so much exposure from the start – congratulations! Thanks for this great post on backlinks. I’ve been using several strategies to build backlinks to my site but had not incorporated the use of directories. One more thing for my “to do” list, but it will be well worth it. I appreciate the tip! .-= Kathy Jodrey´s last blog ..Abundance of Money AND Religion: Can They Co-Exist? =-. Thank you so much for your help. The very best. Man, this thing’s getting better and better as I learn more about it. Excellent so glad you joined the conversation! Look forward to learning more about you Jack. Great post. I’m always looking for great blogs and I really like yours. We are also part of http://tribeintensive.ning.com/profiles/members, I will do a little syndicating while I am here! Great blog! .-= Julianna Brower´s last blog ..What Kind of Plugins Should You Have On Your Blog? =-. Having been there myself it is astonishing and overwhelming the information flying around that we must try to make heads or tails of and all on our own for the most part. I am happy to share. Thanks for sharing your awesome knowledge Robin! I’m glad to have you in on board with the tribe concept! It can literally be life changing if you use it the right way and I would say that you have found the key to that! Keep on posting your great tips! .-= Jon Alfredsson´s last blog ..Social Media Tribes Buzz – 10 Recent Top Blog Posts =-. Thanks to you as well Dr Jon! I never imagined myself doing anything like this. The tribe lends more support than I ever imagined. I am loving it and so pleased to have such an awesome mentor as yourself. This is awesome info on back links. To be honest it wasn’t that long ago that I didn’t even know what a back link was! Thanks for the great advice about finding directories moderated by a human, as I can see how powerful this strategy is. I loved what you wrote about Tribe Syndication as this is a concept that is really buzzing at the moment and there is no slow down in site. It wasn’t long ago I didn’t know about back links as well! I am fortunate to be learning the power of syndication in a social media tribe setting. It has proven to attract a serious group of stellar internet marketers sharing wonderful strategies. I highly recommend it! This is some good stuff Robin… I’m glad to see that people are finally talking about backlinks as being a viable option to get good search engine rankings. I am fortunate enough to have a few hundred keywords that my sites rank on the first page of Google for. I wrote a book a few months back that explained one of my biggest secrets in getting high quality backlinks. It was through this great service that I have used for a long time with huge success. If you google “pauls quality backlinks” you should find it. I am new to the tribe concept, but from what I see so far, it seems like the real deal. .-= Justin Glover´s last blog ..How To Update All Of Your Facebook Fans At The Same Time =-. Robin, I’ve been working out in the gym lately to get rid of back links, Now I see they can be a good thing! – seriously, I don’t know much about them, but now I’m heading to the google searches. Thanks for steering me in the right direction. That’s why I LOVE this Tribe Talk we do! Great post Robin. .-= David Merrill´s last blog ..From The Ground Up: The Foundation of Your Online Marketing Business – Part ONE =-. Ha! Thanks for the light-hearted share my friend. There is really a lot to backlinks. Here I only shared a bit as a great start to adding and generating those of quality. As my friend Joanna commented before you, submitting articles will prove most powerful as well. Based on your comment I would say you have excellent writing skills JediGuy! .-= Robin Lynn Brooks´s last blog ..First Colors of Spring Planning My Garden =-. Great tips for anyone that wants to get their blog seen and lets face it who doesn’t. I love the concept of the tribe and its amazing how much you learn form reading other peoples content. .-= Deirdre Rutherford´s last blog ..Online Video Marketing: “Are You Getting A Piece Of The Action?” =-. Tribes are definitely the wave of the future online. For a truly inspiring tribe, check out the Daily Crushers on facebook! .-= Debbie Lattuga´s last blog ..Gratitude Walk =-. Lately I have been doing a lot of directory submissions to build up my backlinks. I write an article and then submit it to the following sites for approval: 1. Ezinearticles.com (constanly crawled by google) 2. Goarticles.com (huge site, lots of traffic) 3. Rysite.com (tweets articles + quick indexing) 4. Articlealley.com (easy to submit to) 5. buzzle.com (has a high PR and is very popular) By submitting articles to those sites, i have recieved a lot of traffic. Especially from rysite.com because i get traffic not only from my article, but they tweet it to a following based on your keyword and as a result I get traffic from twitter as well. Hope that helps! Directory submissions are a smart choice. I really appreciate the tips about the benefits you share for each of the sites you mention. Always helpful – thanks much! I found this blog post to be very good. I have went through and read many of your posts. They are great! Keep these great post coming. I think you should post more often, you clearly have talent for blogging! by visiting your site i am very impressed. thanks for your article. wish you all the best. Hey Robin, how we can have acces to The Tribe Mastermind Community? I will leave my personal email address [ brooks.home@live.com ] so please drop me a line regarding access to our tribe community. As well I can direct you to an awesome group that share freely much information to syndicate your content. I see you are into the fitness niche, “Feel the Burn” love it!